“The girl’s face was perfectly framed by the russet beech leaves. The early spring sunlight lit creamy-white skin, a grecian nose, violet-blue eyes fringed with long black lashes, and a curtain of shimmering black hair. The four Derrington sister – Violet, Poppy, Daisy and Rose – are used to not having it all. Following the death of their mother, their father left them under the charge of their Great-aunt Lizzie and when he lost a lot of his money in an Indian business venture that went wrong the girls were forced to live a lower class of life than their fathers Earl title suggests. Violet dreams of being presented, 18 and penniless doesn’t go down well though and while the girls try and work out how Violet can attend the fashionable season in London and find a rich man to marry secrets about the past are uncovered. Daisy, Poppy and Rose’s dreams couldn’t be further from their older sisters’ though but when fortune strikes a time in London provide the best opportunities for Daisy to scope out studio and directing work, Poppy to check out the local Jazz scene and Rose to gather more imagination for the dramatics which she’s sure will land her a top journalism role. Its 1923, girls are starting to gain a little more freedom, but will the sisters always be as close once certain things are revealed? I had heard mixed things about this book before reading it but with a great sounding summary and a brilliant looking cover those mixed things were not enough to quash my interest and I still needed to read it to find out for myself. I am a pretty big fan of historical fiction and I had a feeling that aspect of tis book would please me, and indeed it did, whilst other aspects weren’t as entertaining I did still really enjoy Debutantes. What really struck me with the blurb of Debutantes was the fact that it is set in 1923, a time when the whole debutante thing was in fashion but girls and women were starting to be able to make their own way in life, it was preferable if you had a husband of course but you could go out and get a job and help support the household. I really loved the fact that the three younger Derrington girls had ideas mapped out about how they would make some money and I will admit Violet annoyed me a little as her ambition was to just get married to a rich guy but she saw it as her job, as the eldest of four sisters who wouldn’t inherit anything, to marry into money so she could set her sisters up. It was old fashioned but it kinda of made sense for the time period. I loved the ambition that was apparent in the younger girls’ personalities and the fact that many of the young guys they came across weren’t put off by that. The thing that I wasn’t too impressed by was the obviousness of the plot. In many ways Debutantes read like a more modern Austen or Bronte novel which I loved but the twist and turns regarding the letter that Daisy finds were a bit too transparent. I knew exactly what was going to happen early in on the book and its just a good job that there was enough going on elsewhere in the story, with Violets season, Daisy’s filming and Poppy’s music and romance, to keep me satisfied. I think in all honesty that the big twist could have been revealed a lot earlier and had just as much effect on the novel as a whole for me… but then again the way it was revealed was kind of subtle in its own way anyway so maybe the author knew this. I think the writing really kept me going with the book too as I thought it flowed really well and while I usually prefer first person narrative, the third person with a focus on Daisy was pretty good too. I had hoped for a bit more of Rose than her casual one sentence title card inputs here and there but I still loved the character all the same. The sisters were all loving and their relationship came across so well. There were a lot of things I enjoyed about this book but unfortunately I think there were very few I loved which is why its just a bit average in my opinion. I think it would be a good stepping stone for anyone hoping to introduce their child/sibling/cousin to the more classical stories such as Austen and its definitely worth a read but just don’t expect your mind to be blown. 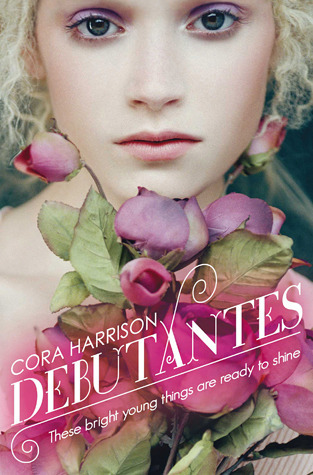 Debutantes was published on August 2nd by PanMacMillan. My copy was sent to me in exchange for an honest review from the publisher. This one didn’t really appeal to me, so I am glad I didn’t read it now. Sorry it didn’t work for you.